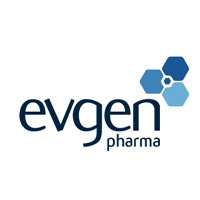 Evgen Pharma plc (LON:EVG), a clinical stage drug development company focused on the treatment of cancer and neurological conditions, is today holding an Investor Symposium for investors and analysts at the offices of Buchanan, 107 Cheapside, London EC2V 6DN. The presentations from the event will be made available on the Company website, www.evgen.com. No new material trading information will be disclosed. Evgen Pharma plc is a clinical stage drug development company whose lead programmes are in breast cancer and subarachnoid haemorrhage, a type of stroke. The Company’s core technology is Sulforadex®, a method for synthesising and stabilising the naturally occurring compound sulforaphane and novel proprietary analogues based on sulforaphane. The lead product, SFX-01, is a patented composition of synthetic sulforaphane and alpha-cyclodextrin.